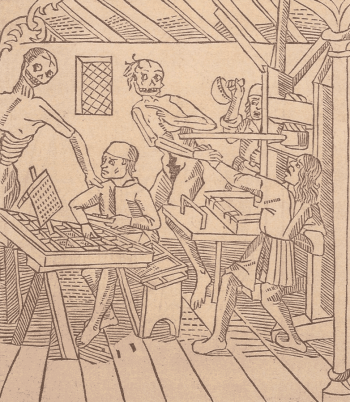 The first known depiction of a printing press is this “Danse Macabre” (left) from 1499. The compositor sits at his typecase, setting type into a tray, eyes trained on the manuscript from which he sets. The beater at the rear holds up an inkball, while the pressman tries to pull the bar to drop the platen, but instead is caught by Death. Until photo-offset printing arrived in the 1960s, everything—books, newspapers, magazines—was set and printed this way. The process has been mechanized over the centuries, but the basic technology of letterpress printing remains unchanged: raised, inked letters are impressed with force into a sheet of paper. Printers today use computer-generated plates of plastic polymer as well as hand-set type, but the physical impression is the same. The process of making metal type is harder to visualize. It takes four distinct steps to get from a drawn letter to the piece of type that will impress that letter on a page. The principle is that of casting: pouring molten metal into a mold, using a small ladle as shown above, in Jost Amman’s wonderful 16th century woodcut of the Schriftgiesser (Typefounder). 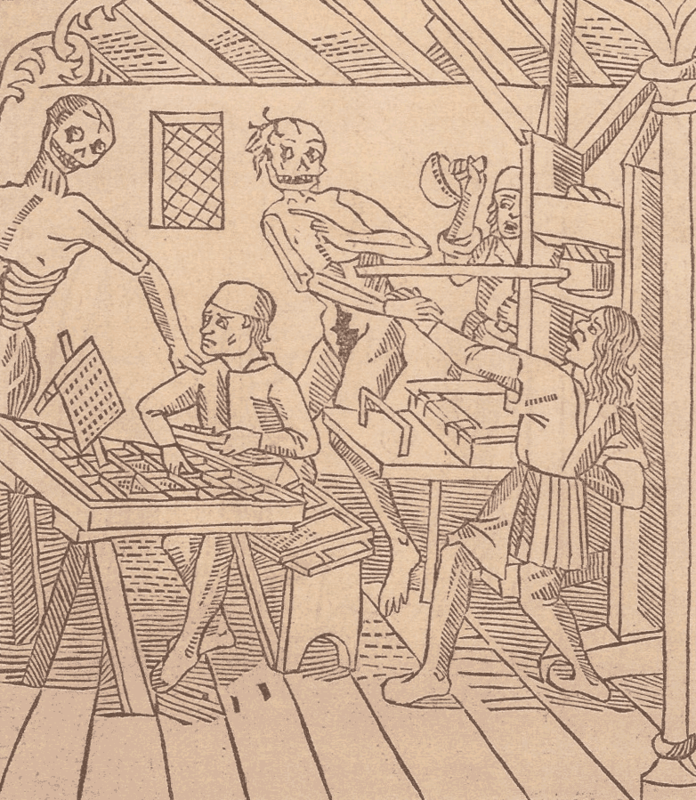 Precisely how Gutenberg’s molds were made is a matter of continuing and lively debate. Some think they were made first from sand or clay, others that they must already have been metal. Regardless, the principle is that of mirror imaging. First a metal punch for the letter is carved in reverse; this is impressed into the mold material, creating a correct image of the letter. The mold is then filled with molten metal, producing a piece of type, which once again appears reversed. When this is inked and printed on the page, the letter reads correctly. In 2001, scholars in Princeton went so far as to suggest that the punches Gutenberg first used to make his molds were not complete letters, but individual strokes that, used together, formed the letter. 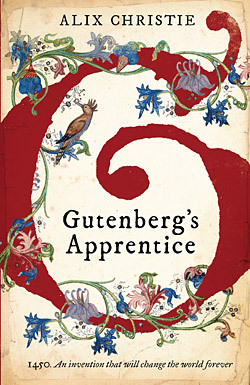 This theory was the spark that sent me searching for the story of the Gutenberg Bible. It has met with considerable skepticism and promises lively debate for years to come. 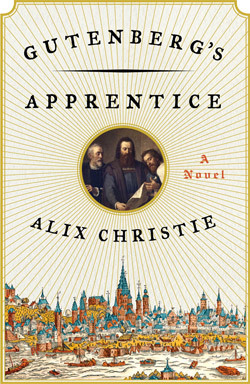 A renaissance in the arts of the book is taking place. Explore some of the links below to learn more about medieval techniques and contemporary practice, in technologies that range from the woodcut to the YouTube video.